Innovative product marketing is socially oriented. The most important of these types are strategic and tactical components. The first phase of innovation research is looking at the market, the dynamics of demand, and the availability of competition, consumer preferences and expectations. Next comes the development of innovation and the strategy of market penetration of a new product, the commercialization of operational innovation, the evaluation of results and the adaptation of the strategy. In addition, on the basis of innovative marketing is the fact that the process of perception of novelty by the target audience of different phases is that there is a lot of time and the degree of absorption of the new product. Each category of consumers has a different degree of sensitivity while the design and consumer goods, as well as the price of the new product, during the product life cycle. The fundamental uniqueness of products, their production process determines the company's innovative monopoly in the early stages of the innovation life cycle, from the investment phase to an innovative project. The second phase of strategic innovative marketing is the implementation of research and development (R & D) and market research. In the third phase, R & D will be implemented and new products put into production. Thus, the innovator stands out for its uniqueness in the market, and as the competitors are absent for a while, they derive the maximum benefits and realize innovations at the highest price. The last phase of innovative marketing is an innovative business marketing closely related to the life cycle phases of a new product. In the first phase, the new distribution channels will be reorganized and newly created. Innovative operational marketing ensures the positioning of a new product on the market. In the growth phase, innovative marketing stimulates demand through aggressive advertising and the maturing process is already preparing a product or other new product modification. At this stage, a portfolio of innovative ideas is being formed. Conducted marketing research provides information for analyzing the definition of supply and demand in the market and free market niches. The materials obtained are the initial ones for the development of innovative ideas. At the design stage, the idea of ​​the novelty is determined and prototypes are presented. Further testing of prototypes in the market, approbation and revealing of defects is carried out. At the presented stage, the task is to disseminate information about the innovation. The consumer demand is formed, the price policy is determined, volumes and sales schemes are optimized. Pricing depends on many circumstances, such as the marketing strategy that the firm conducts, which in turn is determined either by the price of the demand or by the price of the offer. At the growth stage, the market segment and the consumer area are expanding, and the growth rate of market development is increasing as a result of reactive innovations conducted by the company's competitors. The firm loses its monopoly advantages, and, to stimulate the promotion of innovation, to obtain maximum profit, wide advertising is used. At this stage, there is a stabilization of sales volumes of products, which is directly related to consumer preferences for a certain brand. Innovation goes to the stage of routine. Now the tasks of marketing are the development and subsequent implementation of measures to keep the company's segment in the market. At the stage of recession, in order to reduce the costs incurred while retaining the desired sales volumes, it is necessary to promptly remove noncompetitive goods that have lost their consumer quality from the market and replace it with the most popular innovation. It is at this stage that the search and preparation of new ideas for innovation projects are resumed. 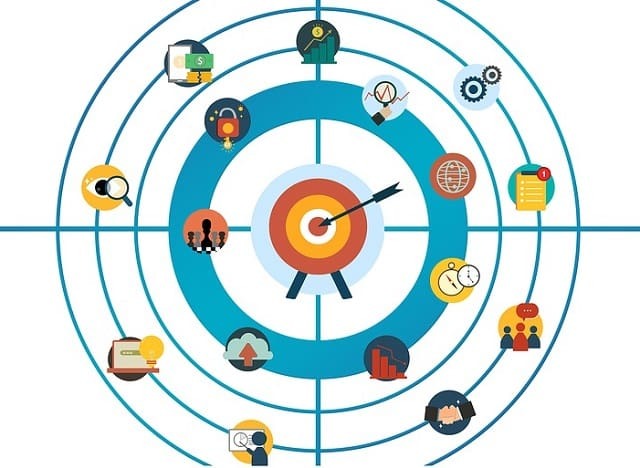 After the success of innovative marketing, the introduction of new products on the market is the foremost important tasks of marketing activities are modified according to the phases of the life cycle of the product. Despite the fact that the need for innovation is greater in the final phase of the product life cycle, the creation of an innovative reserve and the continuous introduction of new developments are central to the company's success. Therefore, the regular implementation of innovative marketing becomes the main requirement for the high competitiveness of innovative companies, especially small businesses. In the market practice, the most successful innovative companies strive to enter the sector each year and produce at least 3-4 new developments. When developing the product on the market, marketing measures such as pricing and the creation of distribution channels are the most vulnerable for innovators. Modern researchers identify possible areas of innovative marketing in the context of traditional thinking and non-standardized (combinatoric) thinking. If the first goal is to find products and create products in the company's defined objectives, target markets and opportunities, this assumes that the search for innovative ideas and their priority over business objectives are not to their limits. The second direction determines the allocation of innovative units in large companies and the emergence of venture capital firms to carry out risky projects and develop new products and technologies. I hope you enjoyed this article about innovative marketing techniques to use during a product launch and life cycle. Interested in more articles about marketing strategy?